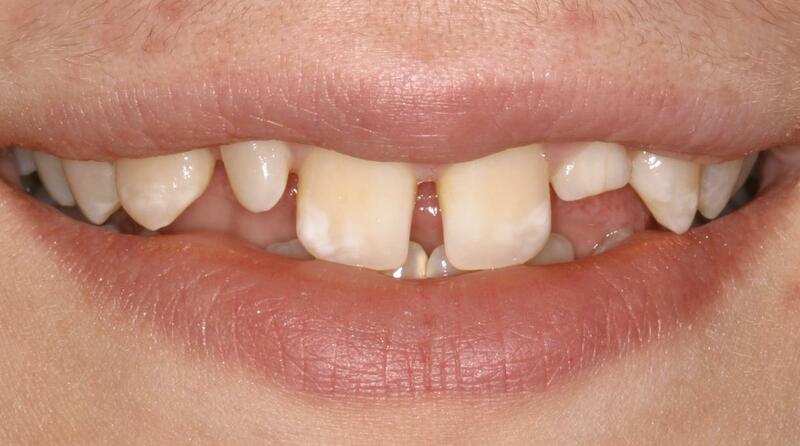 When closing a diastema (gap between teeth), differing amounts of movement of the two teeth is often needed. In this appliance, coil springs are placed to the side of each tooth. An arch wire acts as a guide and keeps the teeth from tipping as the space is closed.